There are so many labels on packages of meat and poultry these days…grass fed, organic, all-natural, free-range, pasture-raised, naturally-raised, and so many others. In my opinion, there are two important labels to look for. 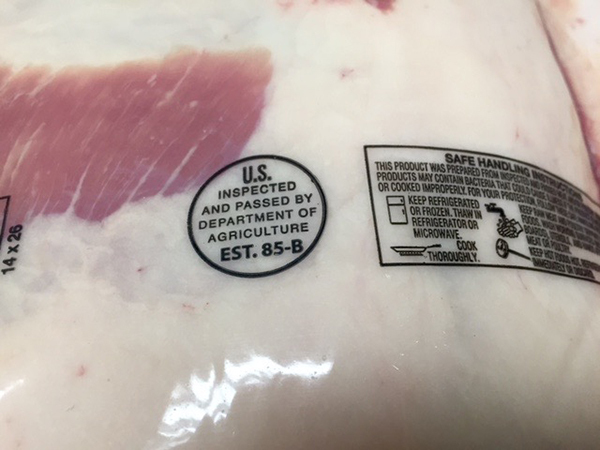 First, look for the circular label, which means the meat has been inspected for wholesomeness from the U.S. Department of Agriculture. The product went through an inspection process and is safe to cook and consume. 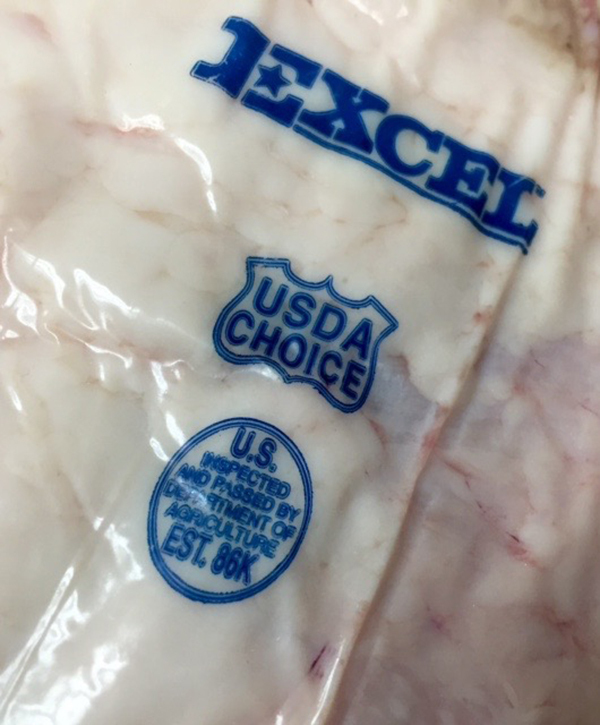 Second, look for the USDA Grade shield, which is paid for by the producer or meat processor. It began voluntarily in 1926 and was created to get a better handle on the livestock market and quality of the animals. There are actually eight different U.S.D.A. Grades of beef. The cattle are graded from a hanging carcass that is cut between the 12th and 13th rib, right at the end of the Ribeye. Years ago the cattle was graded primarily by the individual grader. Today, it’s mostly done by video imaging analysis. Prime cattle are young, well-fed, and are highly-marbled with an abundant of white flecks of fat running through the meat. Prime grade is most commonly found in high-end steak houses, fine restaurants or hotels, and from time to time, my butcher shop!! Prime cattle are currently about 4 ½ to 5 percent of the entire graded cattle. That’s up from just a few years ago when it was only about 2 percent. Last week I had Prime Flat Iron steaks; this week I have Prime Ribeye steaks!! Choice grade cattle have moderate marbling and make up of about 65 percent of all graded cattle. This is the most commonly found grade of beef in supermarkets. Choice roasts and steaks from the rib or loin will be very tender, juicy, and flavorful. Select grade of meat is normally leaner than the higher grades; it’s fairly tender but lacks in flavor because there is less fat…. Fat equals flavor!! Select beef makes up about 25 percent of all graded beef. Select cuts of chuck or brisket will be fine for braising. Select steaks may lack flavor and tenderness. Some retailers may use this grade as their house brand. These are rarely seen in the retail level. You may see some Ribeye in a few markets, but that’s about it. These bottom 5 grades make up about 1 percent of graded cattle. They are mostly older in age and used in cheap ground beef, or processed and canned products. Interestingly, the USDA does not grade pork the same way as beef. The USDA inspects it for wholesomeness; meaning it has been inspected and passed from visible disease. The hogs today are bred to produce very uniform and tender meat. When shopping for your fresh pork, look for cuts that are pale pink in color, with moderate marbling and a nice, even layer of white fat. There are three grades of chicken. 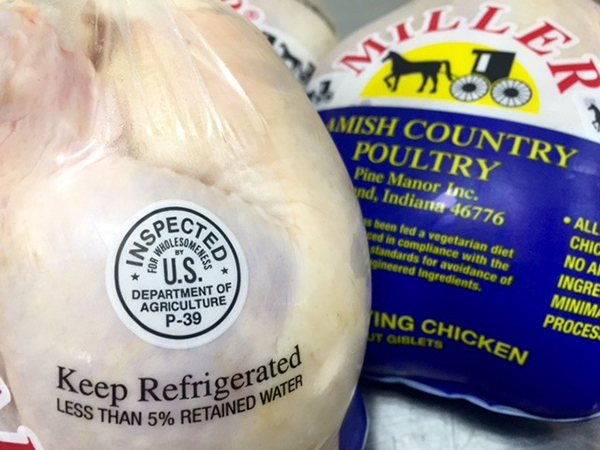 A, B, and C. Grade A is the best quality and most commonly found in butcher shops and grocery stores. This bird has good meat to bone ratio, is clean with no torn skin, no bruising, no broken bones, and is not discolored. B, and C are not usually found in grocery stores. They are mostly used in products that are cut up or further processed. There are five grades of Lamb. You will only find Prime and Choice in butcher shops or grocery stores. The other three are Good, Utility, and Cull are older and used in processed products. Next time you’re shopping for meat or poultry, look for these labels!! Why Do YOU Love To Grill?